you may fill in the Electronic Application Form directly to website Center "Sirius"
- Creative School for Young Artists - you may fill in the Electronic Application Form directly to website Center "Sirius"
- Creative School for Ballet - зyou may fill in the Electronic Application Form directly to website Center "Sirius"
At the initiative of the President of Russia V. Putin, since 2015 in Sochi has been started a year-round Educational Center "SIRIUS" (TALENT and SUCESS Foundation) for children who showed endowments in the Arts, Science and Sports..
Center Founders: "Talent and Success" Foundation, the Russian Ministry of Culture, the Russian Ministry of Education and Science, the Russian Ministry of Sports. 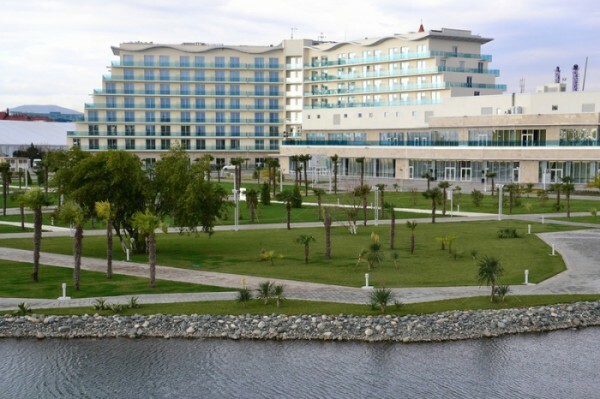 It is located in a renovated venue with modern hotel on the seafront at: 40 Olympic Avenue, Sochi. For musicians, it is a creative school in form of monthly exchanges in small groups in specialty. Preprofessional training program for young soloists, developed by the St. Petersburg Music House, consists of intensive master classes by leading artists and teachers, classes on composition, lectures on the history and music theory lessons with accompanists. Accommodation, food, safety of children in the Educational Center are organized in line with the appicable requirements. Access of unauthorized persons to the Center territory is limited. During the school year children will attend Secondary School, designed for 5-11 grades. Travel, accommodation and participation in the Creative School is at the Center expense, free of charge for participants. Parental involvement for the costs of children`s travel, accommodation, meals and training is not allowed. SELECTION OF CREATIVE SHIFT PARTICPANTS IS IN PROGRESS It is held by the St. Petersburg Music House in form of absentia listening of video records and applications attached to them. The distribution of shifts depends on the age and specialty. During the school year will be held creative shifts, and successful participants will be invited for Summer Program. aged 12-16 years from all regions of Russia. piano - brass - strings - percussion instruments. 1 At any time via website EC "Sirius" in Section "HOW TO GET THERE"
- See detailed requirements in Sections "Listening" and "Parents"
See Sections "Listening" and "Parents"
Applications for specialties: folk instruments - vocal - ensembles ARE NOT accepted.